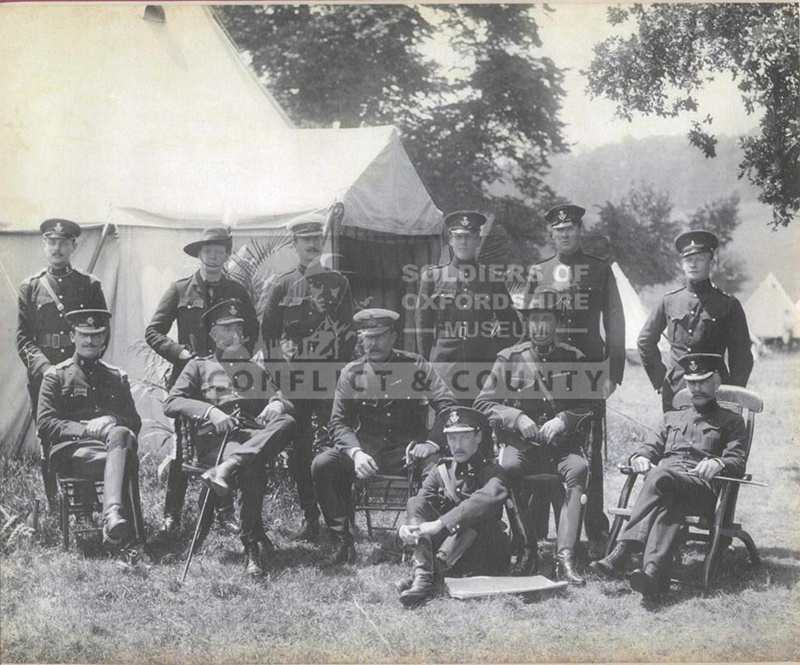 Name/TitlePhotograph of officers from the QOOH and other regiments, featuring Winston Churchill. 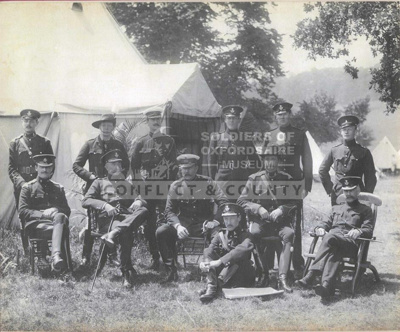 About this objectPhotograph of officers from the Queen's Own Oxfordshire Hussars and other regiments, featuring Winston Churchill c.1900. Churchill is wearing a slouch hat and bow tie, possibly alluding to his role as war correspondent.